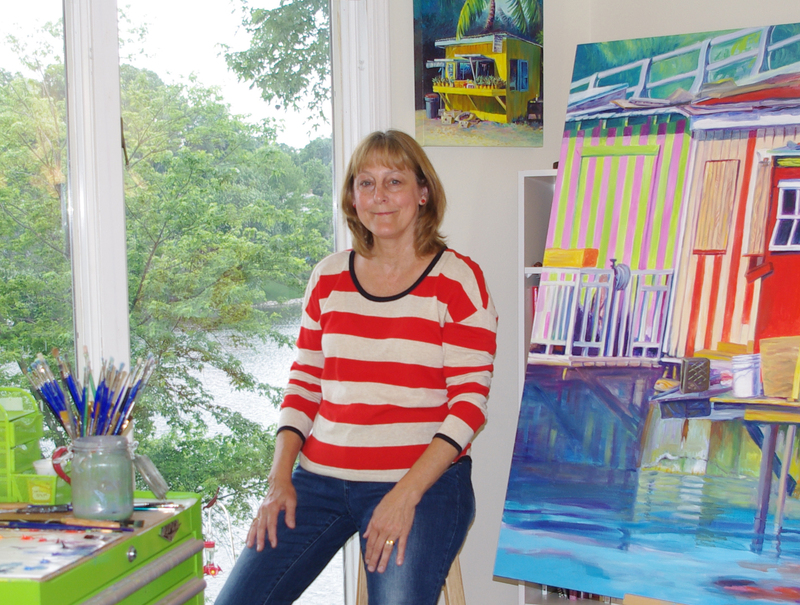 Terri's oil paintings demonstrate her focus on intense, vivid colors. Her choice of subject matter resonates from her lifetime love of water, sun, boats and coastal images. Terri's colorful uplifting paintings reflect her own positive outlook on life, which she strives to pass on to those who view her work. Besides color, Terri gives her oil paintings a uniform and contemporary appearance by painting all the way around the edges of her 1 1/2" profile canvasses. Painting the image around the sides gives the work a three-dimensional look.